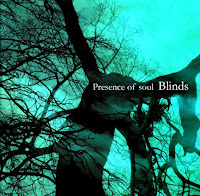 Japanese group PRESENCE OF SOUL is led by female singer and composer YUKI, who also handles guitars, keyboards and Mellotron. She's accompanied by a guitar player, a bass player and a drummer. "Blinds" (2008) is a first album to be listened to somewhere between GODSPEED YOU BLACK EMPEROR !, SIGUR ROS, MOGWAI and ANEKDOTEN. As a matter of fact, the band was the support act for the swedish musicians during their 2008 shows in Japan. Still problem with track 4? Same problem here, with track number 4, the rest is ok.